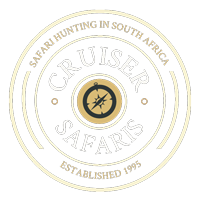 Cruiser Safaris Nyala / Impala Hunting Package Special. The Nyala, considered one of the most strikingly beautiful antelope AND the Impala, the most iconic African antelope, together in a package! Don't miss out on this incredible deal for these two extraordinary African species! See our Trophy Fees page for other species you may wish to hunt at discounted rates during this Package Special. For more information on or to book this Nyala/Impala Special use the Inquiry Form on this page. For more information please see our PRICES page. When using the below form please be aware that ALL forms submitted are answered promptly. If you do not receive an email reply in your in-box, be sure to check your Junk Mail folder.